Based in Driffield, East Yorkshire, we supply new and used trucks, tractor units and tipping trailers to customers throughout Yorkshire and across the UK. Since 1978, customers have trusted us to supply high-quality used trucks from a range of respected manufacturers. View more about our history. Other commercial trailers for sale, including flats, skeletals and curtain siders. As well as offering commercial vehicles for sale we also have a hire division with contract hire and spot hire available. 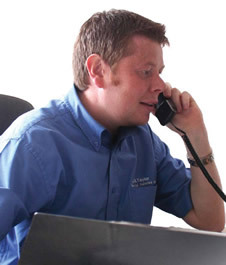 Our customers rely on our extensive knowledge and expertise in commercial vehicles and our renowned reputation is thanks to the hard work and commitment of our fantastic team. Many of our people have been with the company for over ten years and four of our members previously worked for vehicle manufacturers, so their knowledge is second-to-none. Click here to find out more about our team members. If you’re looking for a specific vehicle, let us know and we can source it for you. Equally, if you’re not sure which vehicle would suit your needs best, call us for a chat and we’ll be happy to advise. We believe purchasing your next commercial vehicle should be as straightforward as possible and welcome part exchanges. We can also offer finance (subject to status), to help you purchase your new commercial vehicle easily. Our service doesn’t end when you drive away in your new vehicle. If you need further support, we’re always just a phone call away. And if you require any spare parts, please feel free to email or call us and one of our customer service team will be happy to help. Satisfying our customers’ requirements is constantly our number one priority and we are always ready with information, advice and solutions to problems that may arise. 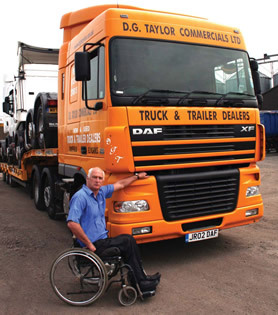 DG Taylor's experienced sales staff are more than happy to discusss customer requirements regarding bulk tippers, aggregate tippers or walking floor trailers.